For the microprocessor named RIPAC, see RIPAC (microprocessor). Ripač is a village in the municipality of Bihać, Bosnia and Herzegovina. 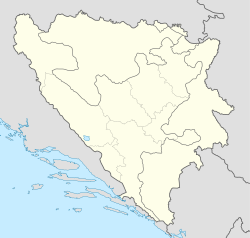 Ripač is the location of a border crossing with Croatia, across Užljebić. Wikimedia Commons has media related to Ripač. This page was last edited on 16 February 2019, at 03:02 (UTC).